The photographs tell the story, the owner has kept this boat in very good condition, reports that all systems are functional, current on maintenance and perform to specification. The bilges, machinery, interior, cockpit, and exterior all very clean, original condition with no visible wear and damage free. Stock #171002 Beautiful Condition Cruiser With Twin 260hp V8's, Bravo Three Drives AND Generator! If you are in the market for an express cruiser, look no further than this 2004 Sea Ray 280 Sundancer, priced right at $51,000 (offers encouraged). 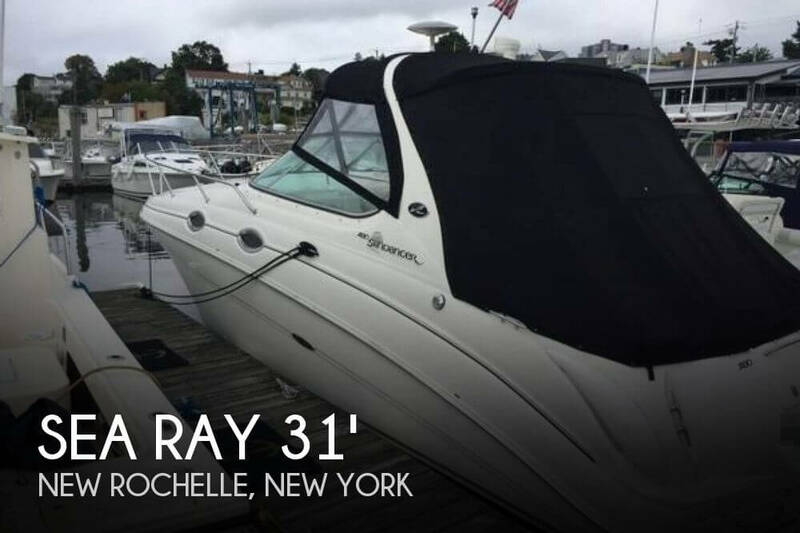 This boat is located in New Rochelle, New York and is in great condition. She is also equipped with twin Mercruiser engines that have 340 hours. Reason for selling is no more time for boating. This Boat is in great condition for its age and really only needs a little TLC to sparkle! The stern facing cockpit seats could use a small amount of elbow grease and some Soft Scrub to bring back the glow but everything else looks to be in fantastic condition. The powerful Mercruiser's start instantaneously and run very smoothly as does the Generator! UPDATE 8/15/18: -There are now new electronics, -Brand new canvas with a full cockpit enclosure. (All canvas is black now not beige). -The head system was just completely rebuilt from toilet seals to tank including the vacuum pump and bellows. -Manifolds and risers are 2 years old. -Brand new ac cooling pump. -Newer color radar new Raymarine e97 touchscreen GPS with digital rpm fuel flow engine temp and volt readout. -Brand new seawater pumps for the main engine and generator. -New fresh water pump for the water system. -Brand new project1000 windlass with 225 feet of all chain. Stock #099837 You Found Your Escape, Cruise Anywhere In Your 330 EC .Your Destiny Awaits!! Reason for selling is changing style of boat. Her overall condition is very good for her age. Hull is solid with no major imperfections. Canvas is updated and in great condition. Her full boat cover has protected from the elements when stored. Her cabin has been renovated and shows as a much newer interior than a 1988. 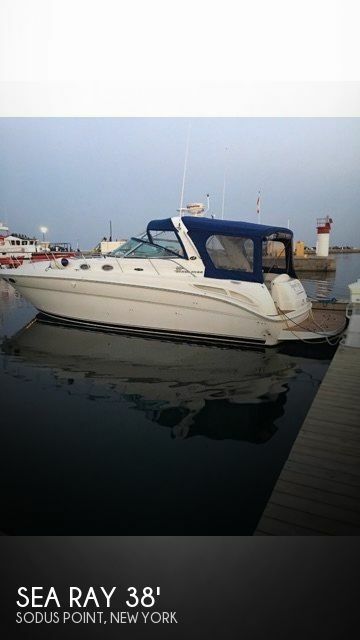 Stock #173878 This beautiful SEA RAY with Super LOW Hours, is all you need this year, fresh water life only. Get it before it's Gone. 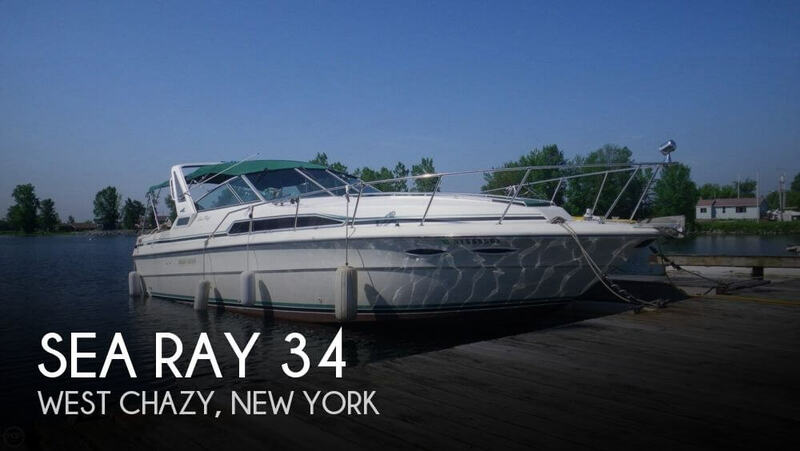 If you are in the market for an express cruiser, look no further than this 1988 Sea Ray 340 Express Cruiser, priced right at $33,400 (offers encouraged). 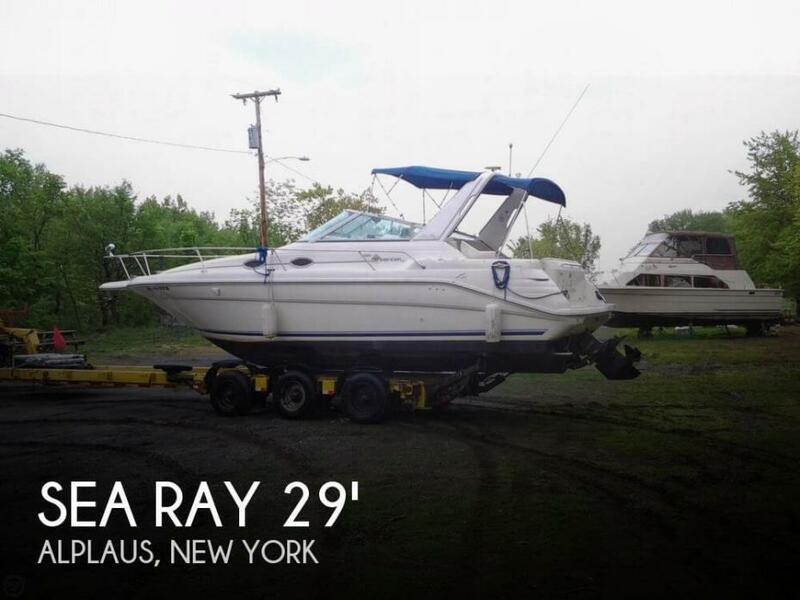 This vessel is located in West Chazy, New York and is in great condition. She is also equipped with twin Mercruiser engines that have 466 hours. Reason for selling is not using. there are two brand new transmissions in the boat. One was replaced in 2017 and the other in 2018! This vessel is in extremely good condition as it should be because of the way it was being used! You know that the boat was never used very hard because the captain uses it for business and not only does he have to preserve the asset but has to protect the safety of his passengers! Seller states that the engines are 270 hp Crusaders. There are 16 years of maintenance records available to be seen for serious buyers. New manifolds and elbows, new port alternator and transmission, were just done. The Off White color of the exterior of the boat was repainted in 2016. The only thing that needs to be repaired is the Radar Pedestal. 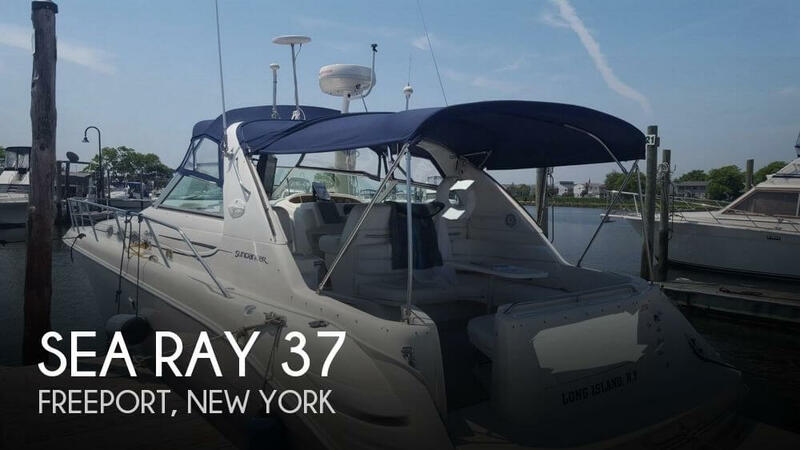 Stock #164200 Excellent condition Sea Ray! New Transmissions, Garmin electronics! Loaded and ready to take out on the water today! If you are in the market for an express cruiser, look no further than this 1985 Sea Ray 300 WE, just reduced to $17,500 (offers encouraged). 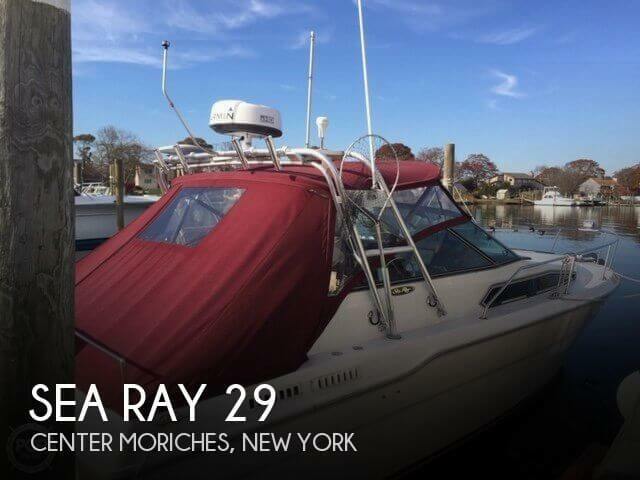 This boat is located in Center Moriches, New York and is in good condition. She is also equipped with twin Crusader engines that have 645 hours. Reason for selling is already bought a new boat for his charter business. Per the Seller: - Vessel in wonderful condition - New Sunbrella Camper Canvas - Lexan Windows - New snap-in Cockpit carpets - SeaDek covering on swim platform Besides the camper canvas also has a cockpit mooring cover The hull has a real gleam to it Stored indoors during the winter Stock #167778 Gorgeous Fresh Water Only Fully Loaded 330 Sundancer that has been well maintained & upgraded comes with extras!! If you are in the market for an express cruiser, look no further than this 1998 Sea Ray 330 Sundancer, priced right at $66,700 (offers encouraged). 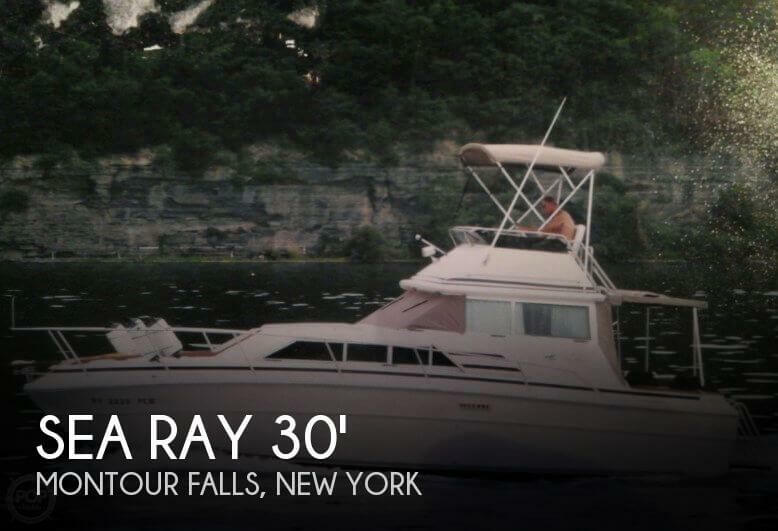 This vessel is located in Cayuga, New York and is in good condition. She is also equipped with twin Mercruiser engines that have 780 hours. Reason for selling is switching to rv'ing. 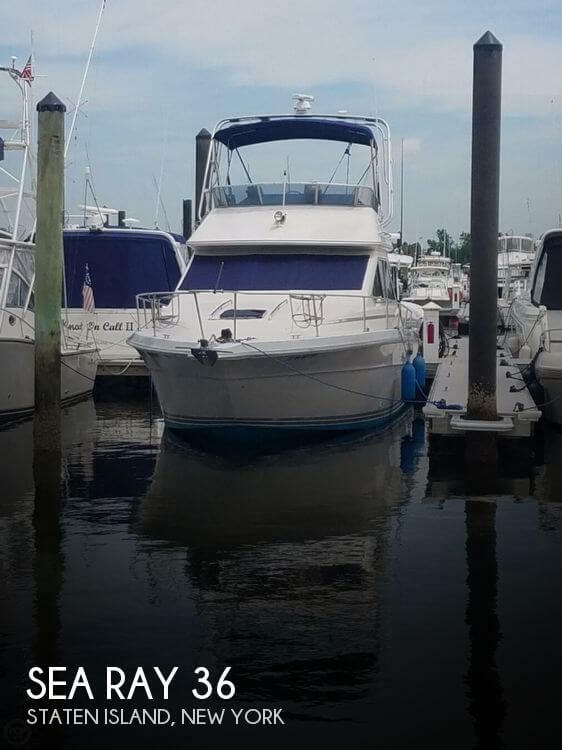 This 1991 Sea Ray 310 SS Sun Sport is in good shape for the year. 2009 - Port Engine Rebuilt - 300 hours now 2011 - Starboard Engine has a NEW block - 235 hours now. Stock #090217 Twin Mercruiser Bravo One engines are 365 hp each! Engine Rebuilds with LOW HOURS !! STYLISH BOAT !! 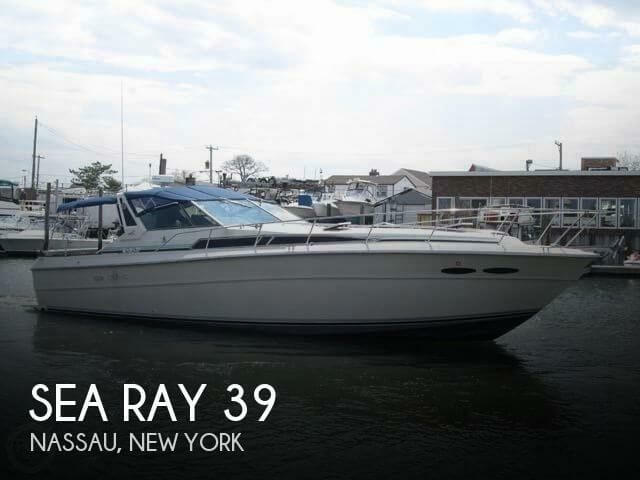 If you are in the market for an express cruiser, look no further than this 1991 Sea Ray 310 SS Sun Sport, just reduced to $19,500 (offers encouraged). 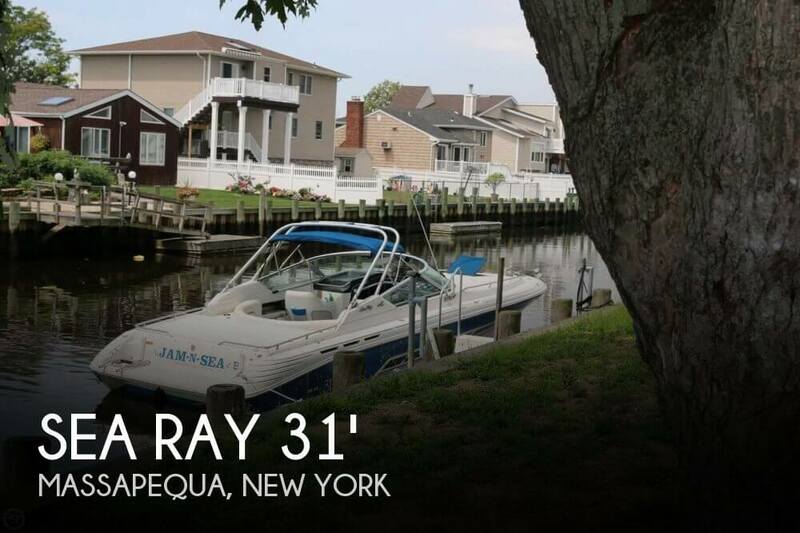 This boat is located in Massapequa, New York and is in good condition. She is also equipped with twin Mercruiser engines that have only 240 hours. The Cockpit Area needs some TLC especially on the wood work and some of the vinyl, but overall the boat is in pretty good shape for its age. The engines start right up, run smooth and have been well maintained. Stock #112766 Classic Express Cruiser with Custom Hard Top, Great Price some TLC needed. 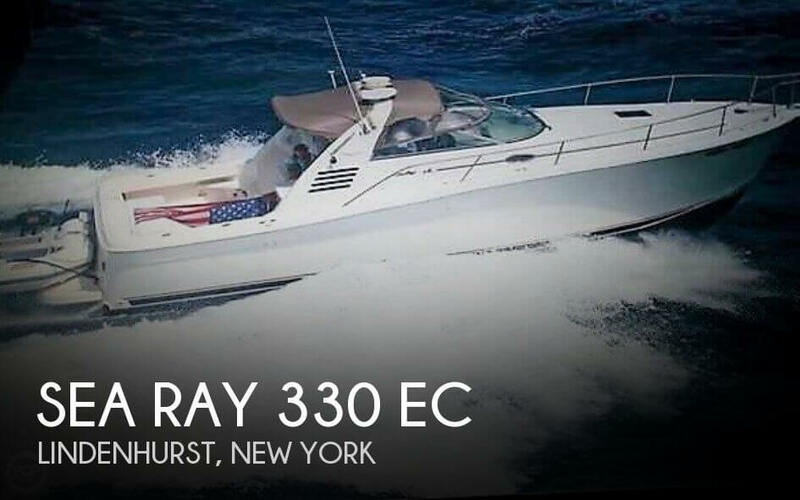 If you are in the market for an express cruiser, look no further than this 1986 Sea Ray 390 EC, just reduced to $23,500 (offers encouraged). 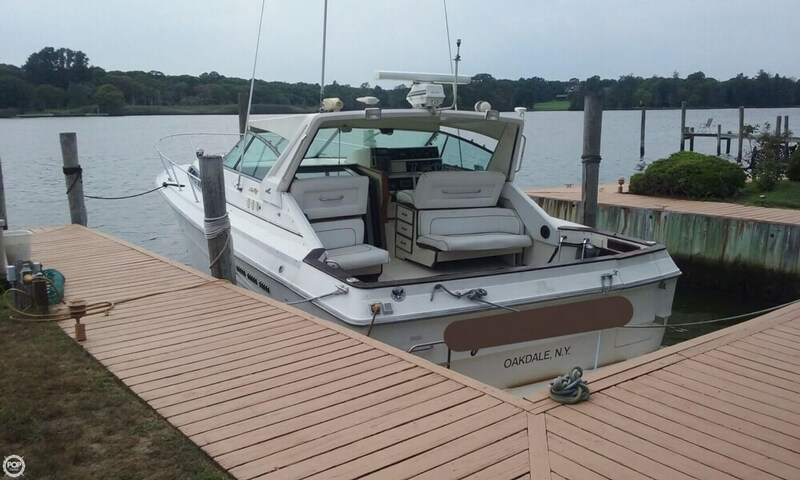 This vessel is located in Oakdale, New York and is in good condition. She is also equipped with twin Crusader engines that have 1,100 hours. Reason for selling is wants a different type of boat. From the Rep that visited the boat. Very rarely have I come across an extremely clean boat of 1988 vintage. I was quite surprised in the shape of this vessel has been kept. Even in the Bilge and Storage areas under the deck are very clean. This is one you just have to see in person. 1988 sea ray 345 sedan bridge Twin 7.4 Mercruiser inboards Starboard motor 700 hrs port 2 hours on rebuild port motor have all receipts New port transmission New Bimini top New sunscreen on the window Radar GPS central vac full fridge vacuum head with a separate shower and 2 ac units Stock #161303 PRICED TO MOVE ! 345 SEDAN BRIDGE IN GREAT CONDITION!!! TWIN 340HP MERCRUISERS!!! 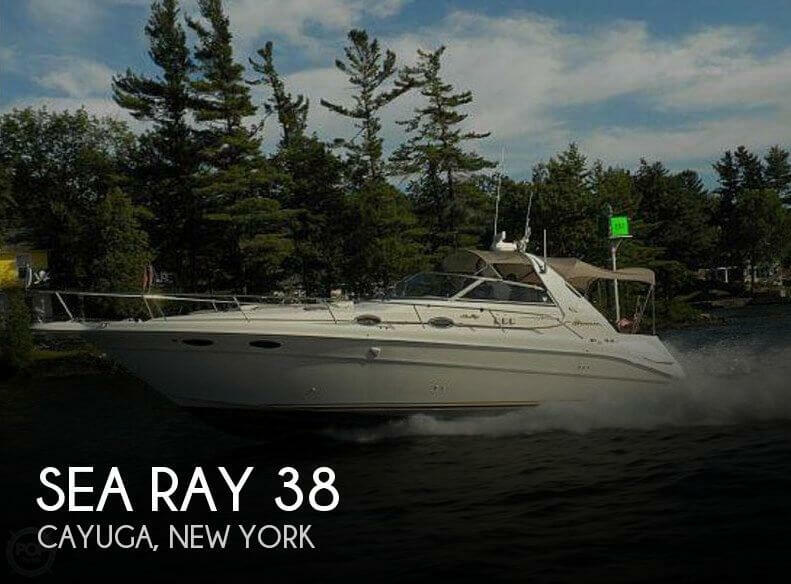 If you are in the market for a motoryacht, look no further than this 1988 Sea Ray 345 Sunbridge, just reduced to $15,499 (offers encouraged). 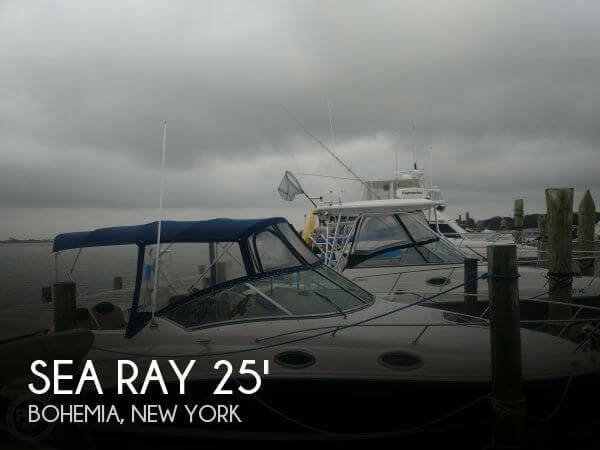 This vessel is located in Staten Island, New York and is in great condition. She is also equipped with twin Mercruiser engines that have 700 hours. Reason for selling is moving up.